Father Randolph Graczyk is a Capuchin-Franciscan priest currently serving as pastor of St. Charles Parish in Pryor, Montana. He holds a Ph.D. in linguistics from the University of Chicago and assists with the immersion program at St. Charles. Father Randolph is fluent in Crow and has published a grammar of the Crow language, a Crow dictionary, and is currently helping with the development of Level 3 Crow language curricular materials. 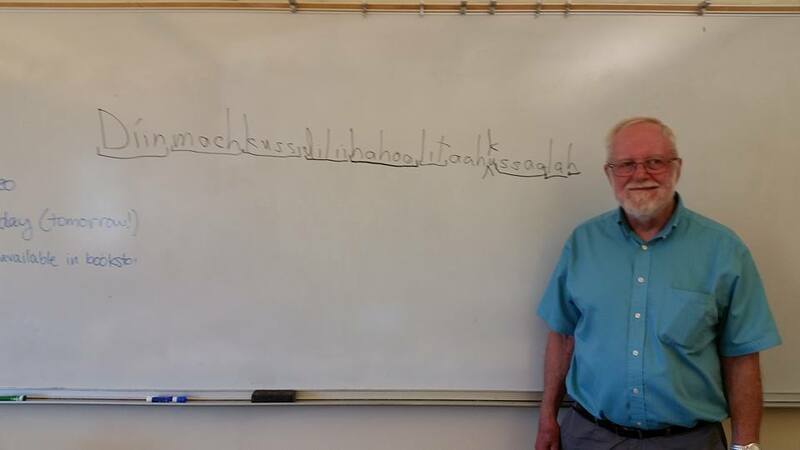 In late May, Father Randolph attended the Siouan-Caddoan Language Conference, an annual gathering of linguists as well as native and non-native people involved in language revitalization. Previously held in South Dakota, Colorado, and Montana, this year was hosted by the Otoe-Missouria Tribe in Oklahoma. 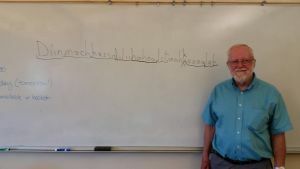 “The conference is an opportunity for people involved with Siouan and Caddoan languages to share both formally and informally, both regarding our understanding of these languages as linguists as well as efforts at revitalization,” explains Graczyk. As an expert in the Crow language, his talk “Apsaalooke Alilaau” discussed the current status of the Crow language and efforts in revitalizing the language. In 2012, The United Nationas Educational, Scientific, and Cultural Organization (UNESCO) defined the the Crow language as “definitely endangered.” By contrast, recent estimates by www.ourmothertongue.org suggest that nearly 85 percent of the 11,000 Crow Tribe members speak Crow as their first language. Graczyk attributes this revitalization in recent years to traditional culture within the community to use the language in religious ceremonies and official gatherings. While Apsaalooke usage is on an upward trend, presenters of other tribal languages at the Siouan-Caddoan conference revealed that their languages are in a more dire state.